Trifle: Traditioneel Engels dessert, met fruit, mousse en koekkruim. Vraag ons naar de smaak van de dag. How to get to the restaurant Restaurant Oh! For ne the best food I ever had in the Netherlands. Perfecto restaurant for meat lovers! Relaxed atmosphere, friendly and attentive service. Beautiful experience, high quality food and service. Restaurant Oh was absolutely amazing...Chef Arran incredible. It was delightful evening in every way. The atmosphere, the presentation, the quality of the food. We will definitely return on our next visit to the Netherlands. The owner was very welcoming and described each dish. 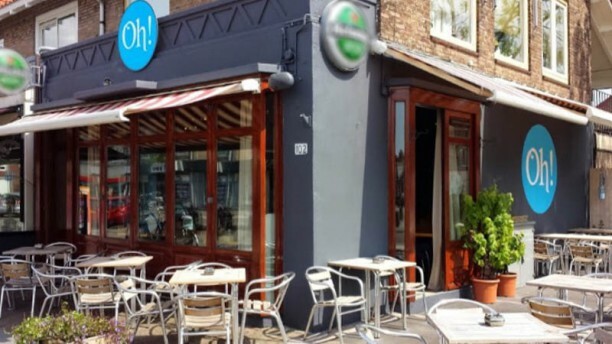 We were extremely pleased with every aspect of our experience at Restaurant Oh!